« Make Friends with Developers, Maybe They’ll Name a Street After You! He Built This City, He Built This City, He Built This City Through Harbor Walls! 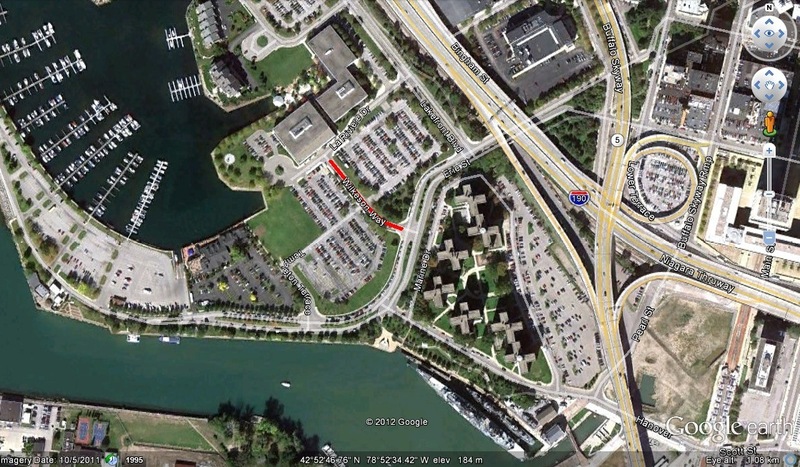 Wilkeson Way is a small street…ok, technically, it’s basically just the entry way into a parking lot down by the Erie Basin Marina. It’s named after the man who was extremely important to the building of Buffalo in the early 1800s, so I’m including it. Originally. Wilkeson Street was a little further north of the current Wilkeson Way, behind City Hall, in an area which changed due to urban renewal in the 1960s. 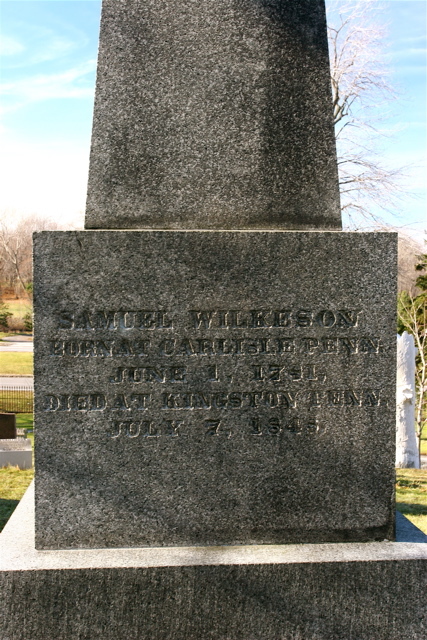 While the street is short, the man it was named for happens to be my absolute favorite Buffalonian, Samuel Wilkeson. Samuel Wilkeson grew up around Pittsburgh, Pennsylvania. He moved his family to Portland New York (on Lake Erie in Chautauqua County) to work as a shipbuilder. Mr. Wilkeson was asked to build a fleet of ships for the Army during the war of 1812. He then joined the Chautauqua Militia and headed to Buffalo to defend the Village. He was attracted to the young Village and brought his family to live in Buffalo. Mr. Wilkeson opened a general store on Niagara Street near Main Street. He was elected the Village of Buffalo’s first Justice of the Peace, and later served as Village Trustee. When construction of the Erie Canal began, a bitter rivalry began between Black Rock and Buffalo, regarding who would become the terminus of the canal. Buffalo Harbor Company was founded by Ebenezer Johnson, Ebenezer Walden, Charles Townsend, George Coit, and Oliver Forward. Mr. Wilkeson did not join the company at first, as his wife was dying. Following the first Mrs. Wilkeson’s death, Samuel met his second wife and began to offer assistance to the company. Townsend, Johnson and Wilkeson each bonded $8,000 to secure the state loan to do a survey of Buffalo for the harbor. They asked a harbor builder to help, but none could be found with experience to manage a project. Wilkeson stepped forward and took charge of the project. It was a hard and often perilous task. When laborers threatened to walk off the job, the three men who backed the project hopped in the muddy water and started working themselves, inspiring the workers to resume construction. The harbor was built in 221 days, only taking days off for the Sabbath. 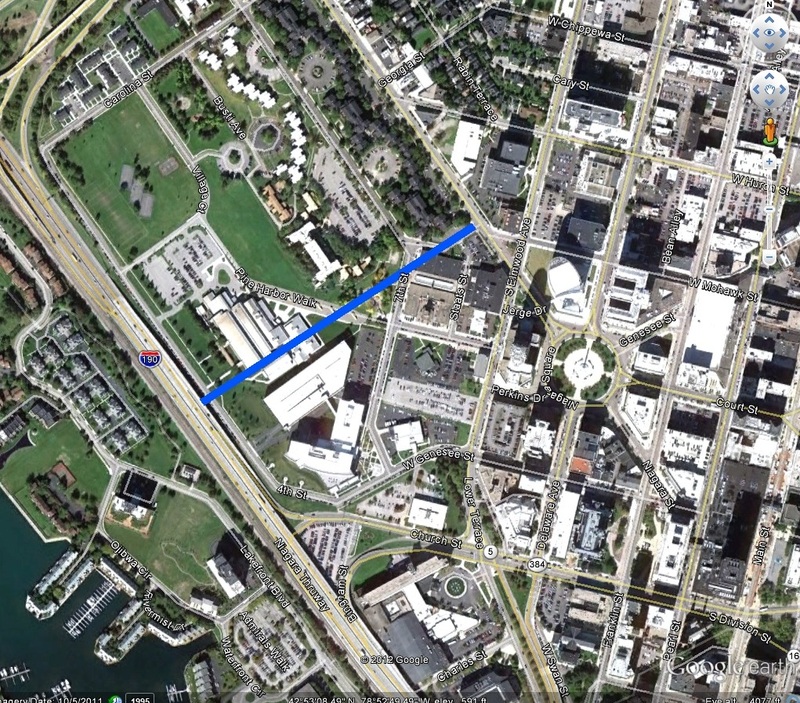 In 1820, Wilkeson successfully argued that Buffalo should be the terminus of the canal. He went into partnership with Ebenezer Johnson in the 1820s for shipping and real estate development. He owned the property where City Hall is now located, and his descendants maintained a house on Niagara Square until 1915. He also laid out one of the first subdivisions in the Tonawanda Creek area. He was then elected to the State Assembly. When Erie Canal connected Albany to the Buffalo Harbor in 1825, Wilkeson was on the boat for the historic first journey with Governor Clinton. It is said that Wilkeson never relented towards striving to make Buffalo better. He realized that the Canal terminus alone would not help trade in the Village of Buffalo, so he began many businesses that would utilize the canal and bring trade to the area. Included in his businesses were manufacturing of Iron Furnaces, including one on Ohio Street, Perry Street and South Park Avenue. He was constantly looking for ways to use the port he built. 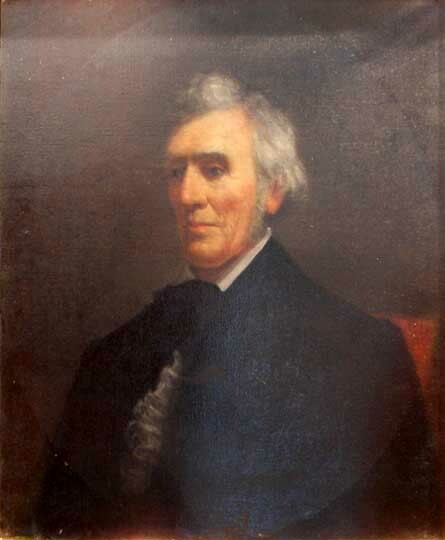 In 1836, Wilkeson was elected mayor of Buffalo. A depression struck shortly after his election, but the speculation which led to the depression was good for the new city – which could boast 52 miles of pavement and sewage system on major streets. He died in 1848 on his way to Tennessee to visit his daughter. Four generations of his family lived in the mansion he built on Niagara Square before it was torn down for a gas station. The house stood where City Hall now stands. As part of their Niagara Square exhibit, the History Museum sold pewter replicas of the key to the Wilkeson mansion. He is buried at Forest Lawn. His tombstone reads “Urbem Condidit” (he founded the city). Amazing story. What a wonderful site. Thanks Angela for your thoughtful and diligent research. You bring History alive. Thank you so much! I really enjoy writing and researching. Glad you enjoy it! I made an adjustment to the RSS feed…it’s now posted on the main page, let me know if it still doesn’t work for you and I’ll try to figure it out! Samuel Wilkeson’s grandson Samuel Henry Wilkeson was my great grand uncle through his marriage to Gertrude Franks. Thank you for thaking the time to share this with the world. Thank you for your comment! Samuel is probably my favorite Buffalonian of all time. I love learning about him!